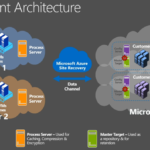 Azure Site Recovery has evolved a lot since it was launch in late 2014, and have continuously added features. Microsoft is investing lot of money and effort to capture the Migration and most Importantly Disaster Recovery as a Service (DRaaS) market. In this article, I will cover some of the important factors that you must consider with their possible remediation plans. Azure Site Recovery (ASR) for Azure Resource Manager (ARM or V2) is now in Public preview and supports Azure Backup for Virtual Machines, Replication and Site Recovery. For VMware or Hyper-V workloads there are seperate limitation in addition to above and I will cover them in Part-2. The article will also be updated with mitigation plans.